Toyota Safety SenseTM (TSS) standard at no additional cost. Toyota Safety SenseTM (TSS) is a bundle of active safety features on most new Toyota vehicles at no additional cost. For over 40 years, Red Deer Toyota has delivered quality vehicles and superior customer service. Our confidence in everything we sell proves we understand the quality our customers demand. Friendly staff and professional advice accompany the products we provide. Visit us today in the Gasoline Alley Auto Mall in Red Deer County, Alberta! Our address is 413 Lantern St, Red Deer County, AB T4E 0A5. We carry a full range of award winning vehicles including Toyota Corolla, Toyota Camry & Camry Hybrid, Toyota Sienna, Toyota Tundra, Toyota Tacoma, Toyota Rav4, Toyota Venza, Toyota Prius, Toyota 4Runner, Toyota Highlander & Highlander Hybrid, Toyota FJ Cruiser, Toyota Yaris, Toyota Sequoia, and Toyota Avalon. Our wide variety of Pre-Owned Vehicles includes Toyota and many more. Find out more by calling us at (403) 343-3736. Highly recommend, I walked in and was immediately greeted by Jathryn who was awesome to deal with, very knowledgeable and made me feel comfortable throughout my entire experience. I will be sending anyone I know who is in the market for a vehicle to her and the team at Red Deer Toyota! Overall great experience. The original purchase of our vehicle and the subsequent required services have all gone well. 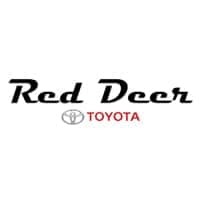 Red Deer Toyota is a well managed, clean and efficient dealership.We have found their work to be thorough and always completed within their time estimates. The staff is extremely friendly and they all go out of their way to be of assistance.I won't say that we haven't encountered a single problem or issue, however they have always stepped up and come to very reasonable and acceptable resolutions.I can say that we have never had a better dealership experience. We couldn’t have had a better experience at Red Deer Toyota. From the moment we walked into the dealership our sales representative, Stephen, made us feel comfortable and genuinely wanted to find us a vehicle that would be perfect for us. He was very knowledgeable about all of the Toyota products we were considering. We didn’t once feel pressured and our experience was very relaxed. The sales manager, Ryan, was exceptional in dealing with our trade in and ensuring the vehicle we were purchasing was exactly what we wanted. Once our new vehicle arrived, Stephen went above and beyond, showing that he cared with his follow up and his personal touches including marking important pages in our owner’s manual for us. It was very easy to make the decision to purchase our new vehicle from Red Deer Toyota and we couldn’t be happier. We will definitely be long-time Red Deer Toyota customers and would recommend the dealership to anyone!